Every kitchen we create relies on teamwork. Installation is only one of the steps in our seven step process but it’s a big one! 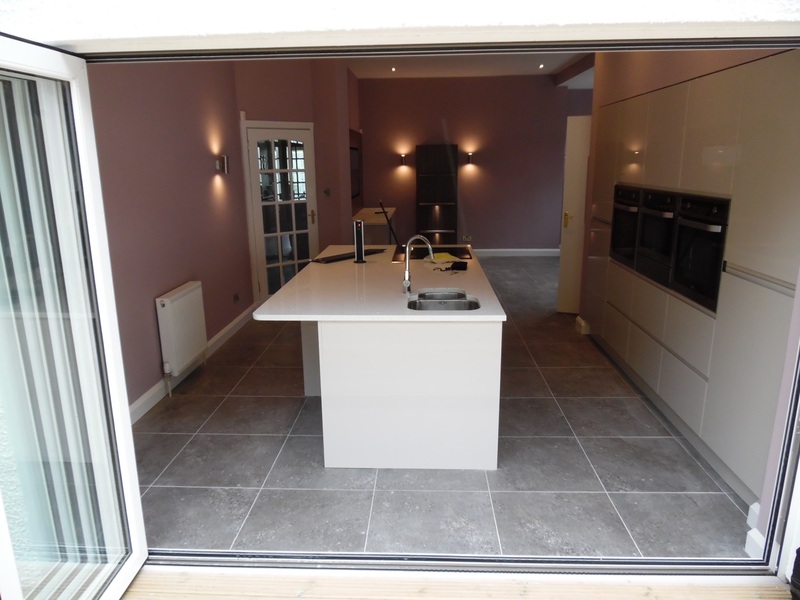 No matter the size of a kitchen, there is a wide range of skills and experience required: joiners; electricians; gas specialists; plumbers; plasterers; tilers, and solid surface specialists. That’s why project management is so important. 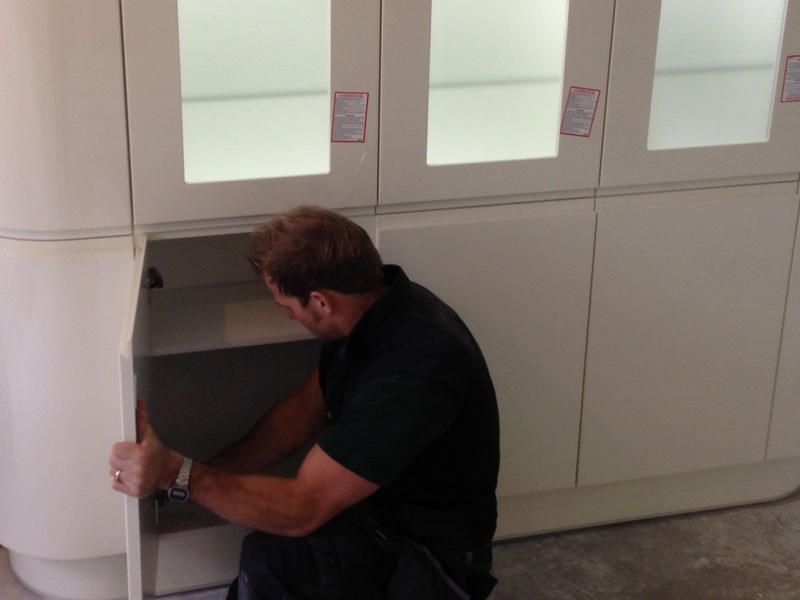 Ultimately, it’s the skills and experience of our fitting team that delivers our concepts and designs and that’s why we only ever employ the best. Apart from the obvious skills and experience, a good sense of humour and love of the unexpected always helps. It’s a job that tends to throw up some unusual practical challenges and that’s when experience really counts. Here are a few photos of the team hard at work. Read more about us here. The quality of the final finish relies on careful preparation in the early stages. 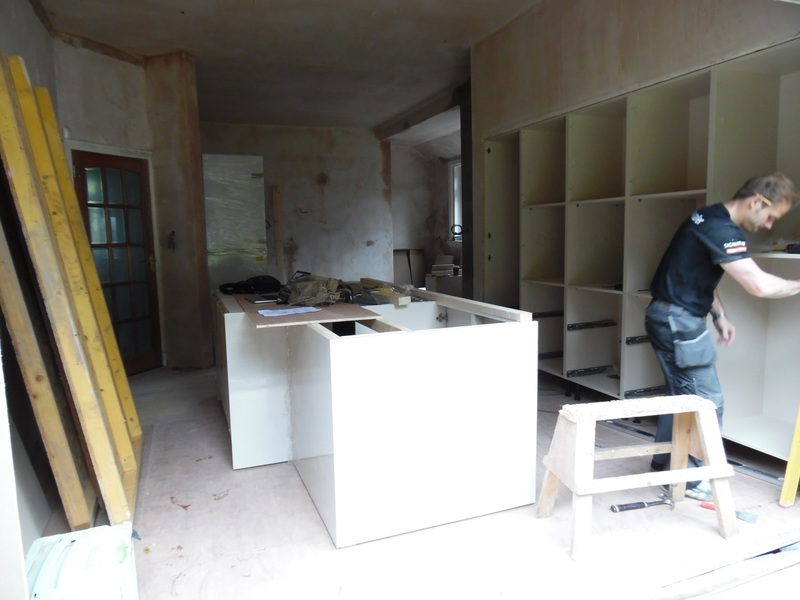 In this large kitchen there is a significant amount of framing required. 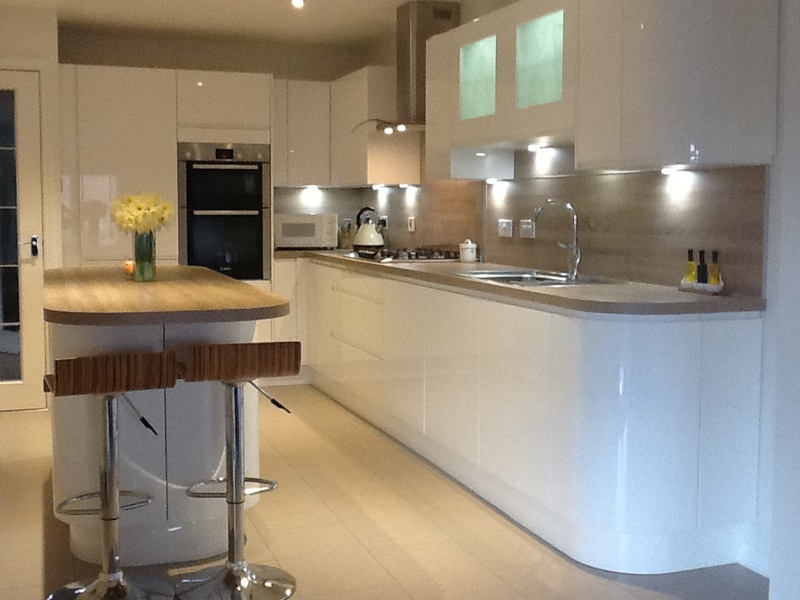 There are lots more customer kitchens to see in our customer stories. 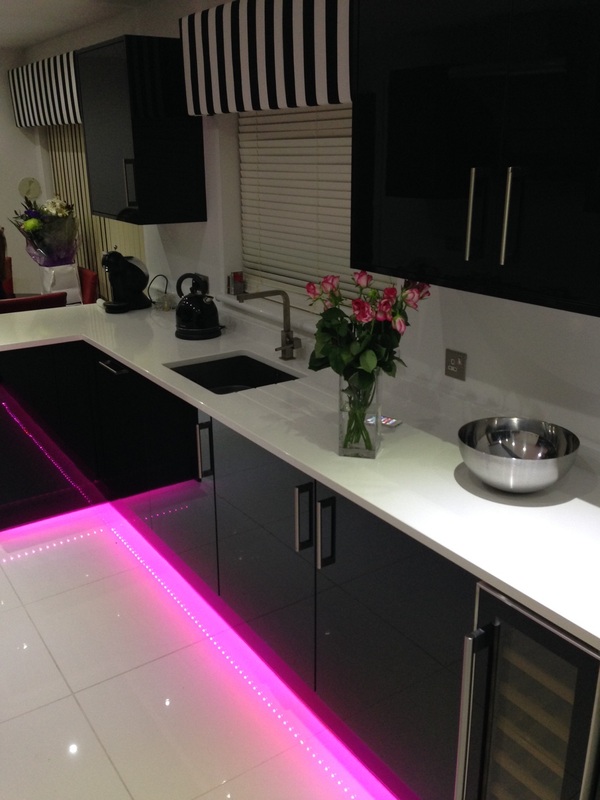 Quartz, Granite and Corian look fantastic! Careful attention to measurement and templates is required. 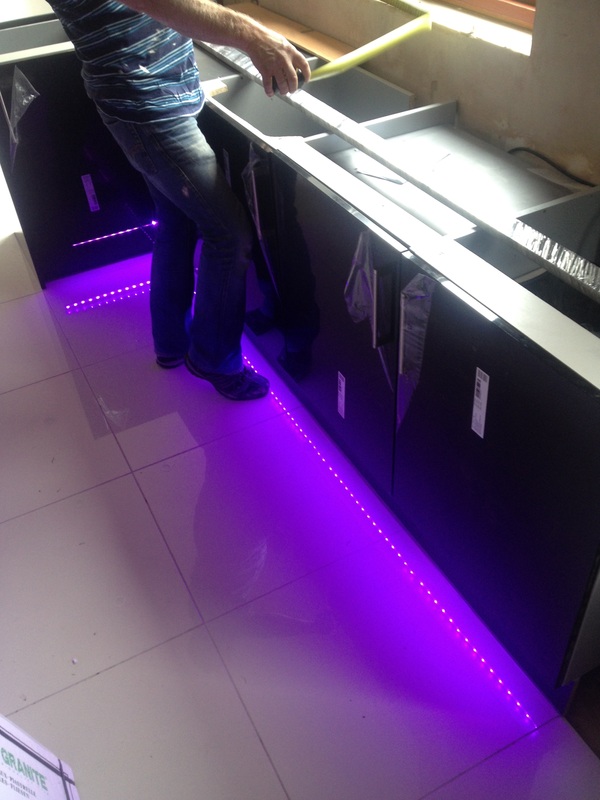 The small final touches are every bit as important as what has gone before but they don’t take our experts long!